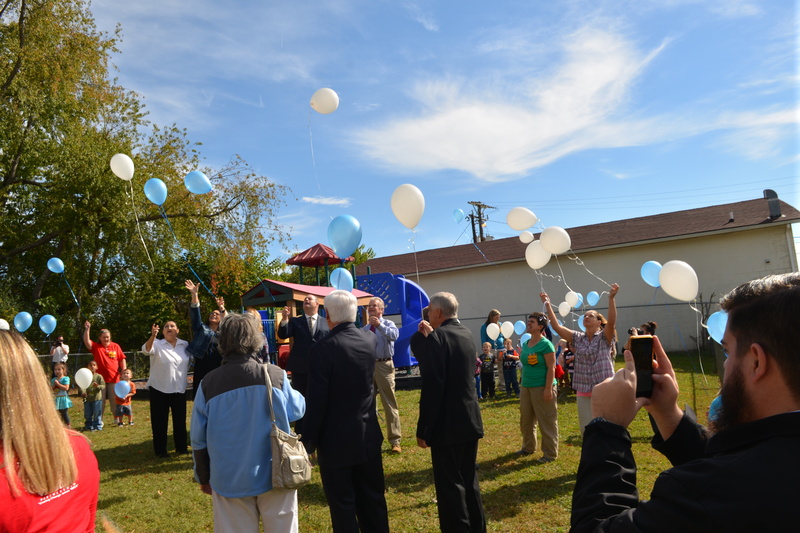 In September, Governor Matt Bevin and I announced KentuckyWired, the statewide broadband project, is moving full steam ahead, starting first in Eastern Kentucky, followed by the rest of the state. Significant progress has been made in engineering, surveys and forming strategic partnerships to implement broadband in every county. Click the photo to watch the press conference or read more at kentuckywired.ky.gov. 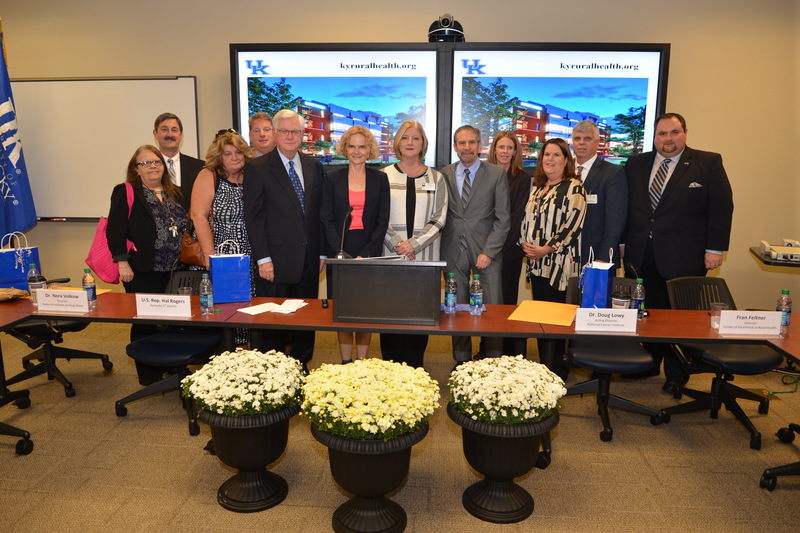 On October 6, two of the nation's top doctors joined me in Eastern Kentucky to examine health disparities in our region, specifically our high rates of cancer and drug overdose deaths. Dr. Nora Volkow, Director of the National Institute on Drug Abuse (NIDA), and Dr. Doug Lowy, Acting Director of the National Cancer Institute (NCI), visited with local medical professionals and community leaders to discuss our challenges and successes in rural healthcare. We kicked off the day at Primary Care Centers of Eastern Kentucky, where screenings, vaccinations and primary care are among the first line of defense. Dr. Lowy recommended ramping up HPV vaccinations for adolescents, noting that Kentucky is below the national average for vaccinating girls, and far below the national average for boys. Dr. Lowy helped develop the HPV vaccine to prevent cervical cancer and other related diseases. 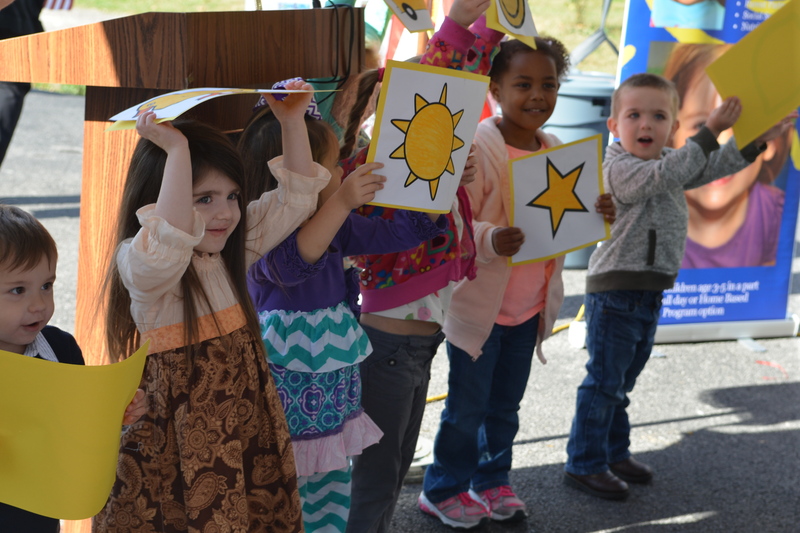 Statewide, cancer takes the lives of about 10,000 Kentuckians every year, the highest rate in the nation. We visited the Appalachian Regional Healthcare (ARH) Cancer Center in Hazard where Dr. Sam Bailey, a local oncologist/hemotologist, shared his concern for patients who can't afford transportation and those who wait too long to be examined after noticing initial warning signs. The ARH Cancer Center raises funds to provide gas cards for cancer patients in need. ARH also hosted a luncheon with local medical professionals and community leaders at the ARH Medical Mall. Dr. Lowy predicted a potential rise in liver cancer rates in the region, due to the growth of Hepatitis C (HepC) cases resulting from increased needle-related drug abuse, like heroin. "Luckily at the moment, you don't have a major problem with liver cancer, but when HepC goes untreated it can lead to liver cancer," warned Dr. Lowy. Read more at UKNow. Last year, more than 1,200 Kentuckians died from drug overdoses, ranking our state among the top five nationwide. We are racing against the clock to save lives, which is why I asked our federal leaders to help us change our trajectory. Dr. Staton-Tindall shared results of her recent study on drug abuse among women in prison. "Kentucky is leading the nation in acute HCV cases and we are leading by a lot," said Dr. Staton-Tindall. "Fifty-nine percent of the women who participated in the study tested positive for viral HepC." 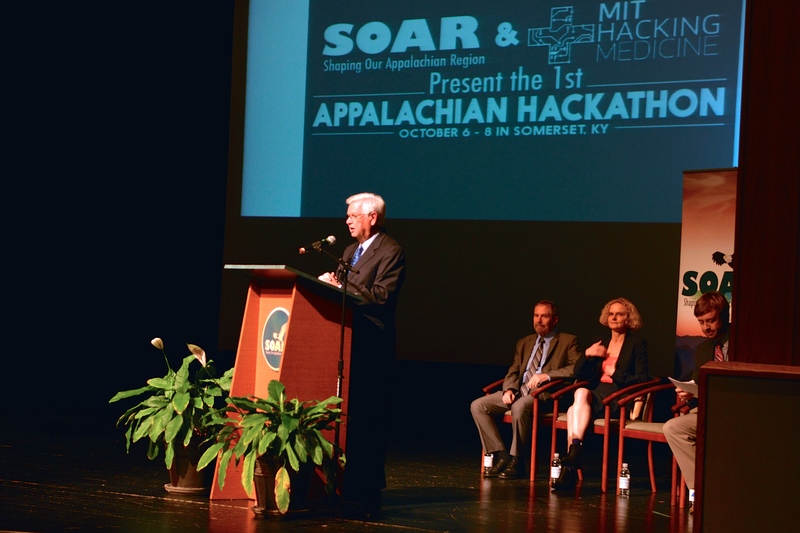 In an effort to address health disparities in southern and eastern Kentucky, SOAR partnered with the Massachusetts Institute of Technology (MIT) to host the state's first-ever Health Hack-a-thon at the Center for Rural Development in Somerset. 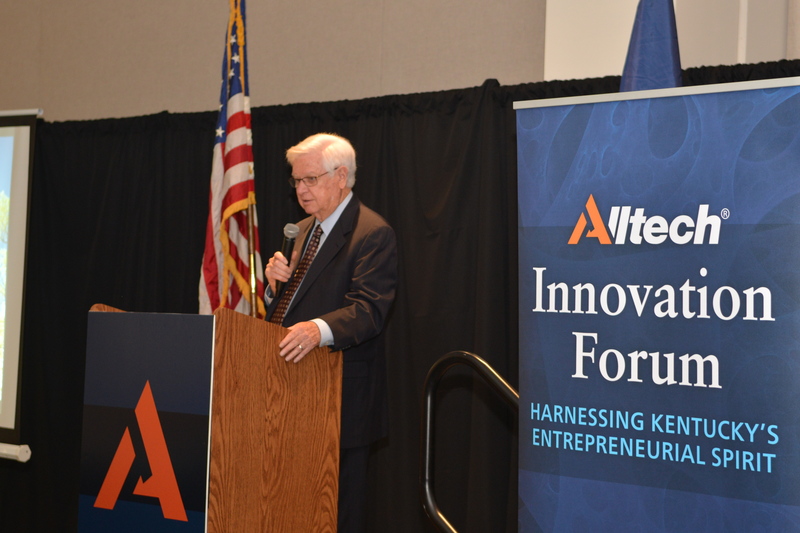 Dr. Volkow and Dr. Lowy helped us kick-off the three-day event that united students, technology experts, medical professionals, and entrepreneurs in finding solutions that can be developed into personal mobile applications. Click here to learn more about the winning ideas. Click the photo to watch the three-day hack-a-thon. On October 7, I joined Drs. Pearse and Deidre Lyons at the Alltech Innovation Forum at the East Kentucky Expo Center in Pikeville, where entrepreneurs from around the world discussed exciting and innovative projects that have produced jobs and boosted their local economies. Dr. Pearse Lyons encouraged Kentucky entrepreneurs to "build a story" utilizing the power of tourism. "Someone is going to make a difference, why would it not be you?" asked Dr. Lyons. See more on EKB-TV. During the forum, I announced that the City of Pikeville earned a competitive $5 million grant to build a 50,000 sq. ft. spec building at the new Marion Branch Industrial Park. 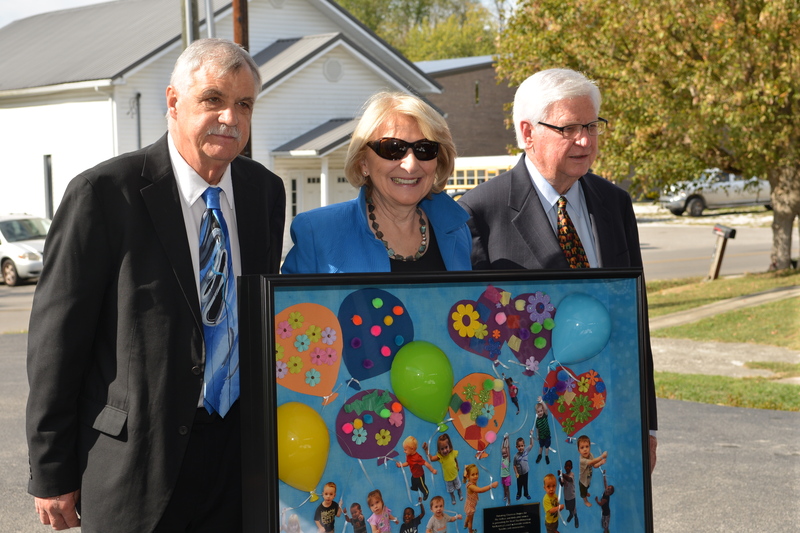 It is one of the first grants made available through a new Abandoned Mine Lands (AML) Pilot Project. I helped secure these resources in the 2016 Omnibus Bill that funds the federal government. 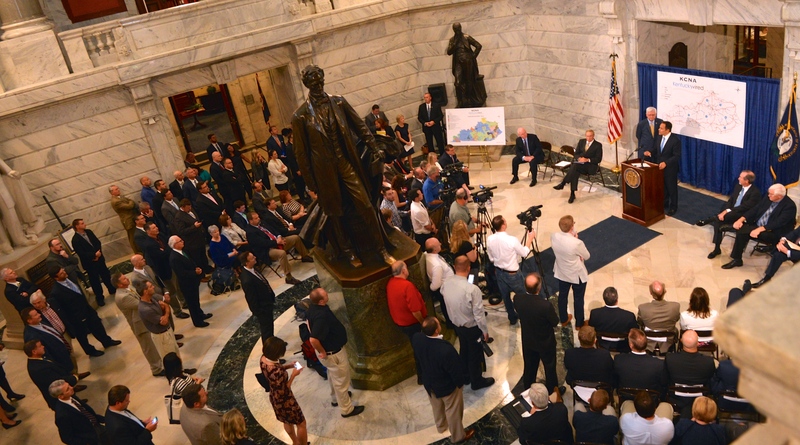 Kentucky received $30 million in federal grant dollars through the pilot program that will be used for projects to reclaim abandoned mine land and improve economic development. The eKentucky Advanced Manufacturing Institute in Paintsville also received a $2.5 million AML Pilot grant to help train our workforce on state-of-the-art manufacturing equipment. Read more at Kentucky.gov. Last week, I joined Congressman Andy Barr for a Commerce Lexington public policy luncheon. Jared Arnett, Executive Director of SOAR, Shaping Our Appalachian Region, also joined us to invite urban leaders to visit our rural region. I encouraged Commerce Lexington and SOAR to partner together to develop an "Eastern Kentucky Society" to help Eastern Kentucky native-business leaders find opportunities to reinvest and reimagine their hometowns. Watch the Commerce Lexington meeting. Click here to watch Arnett discuss more about the future of SOAR on WYMT Issues and Answers. The deadline for the annual Congressional App Challenge is quickly approaching - the deadline for high school students and teams to enter is November 2, 2016. Last year, a team of four students from Prestonsburg High School won the competition for Kentucky's Fifth Congressional District with an app called "Kentucky College and Career Readiness Pathway." This year, Amazon Web Services has donated $50,000 in AWS credits to be split among winning students across the country. Winners will be announced by the Internet Education Foundation during Computer Science Week in December. To compete in the 2016 Congressional App Challenge for Kentucky's Fifth Congressional District, students can register and submit their apps online at http://congressionalappchallenge.us. If you would like to receive more frequent updates on what's happening in Washington, please send me an email, join my Facebook page, follow me on Twitter, view photos on Instagram, or subscribe to my YouTube channel. Thank you to everyone who has dropped by to share your opinion -- let's keep the dialogue going!